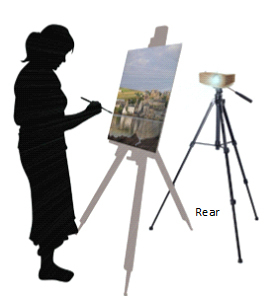 To eliminate the shadow your hand and pencil cause while tracing your base image from an art projector, you can set up a rear screen projection. Put your projector behind your canvas or thick paper and project through it. Your image will be reversed, so to correct this — to mirror the image so it faces the way you want it — follow these instructions. 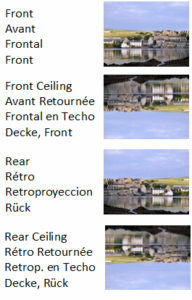 You can use others of these settings to flip or reverse your image for downward projection facing the projector, too.